"Dr. Bakshi was AMAZING. He didn't rush me, he spent time explaining my situation to me and then to my mother, who accompanied me. I felt very comfortable with him and he put my mind at ease so much so that I am considering using him as my primary OB/GYN. That's how comfortable he made me feel." "I have recommended him to my daughter for her first exam. He was very gentle and compassionate so that she was at ease." "Loved Dr. Bakshi - Kind, understanding and seemed to truly care about my well being." "Dr. Bakshi is a very caring doctor." "My doctor retired after caring for me over many years - I was nervous to see a new MD. Dr. Bakshi was very caring and made me feel confident and at ease." "Dr. Bakshi was wonderful. Explained everything and eased my mind that I could still nurse my son on the antibiotic." "he has been my Dr for almost 20 years"
"Been with Dr. Bakshi for almost 20 yrs. I would go to no one else." "Dr. Bakshi put me at ease immediately. Not with me before exam, reviewed my history. Professional at exam. Suggested a follow up test due to recent breast cancer diagnosis." "Did not feel rushed. Dr. Bakshi remembered exactly where we left off in 2015." "Dr. Bakshi was wonderful. Being as Dr. O'Sullavan was not available I had to switch drs. I could not have been more pleased with him. When I told others of my experience, they needed to know who the dr. was." "Dr. Bakshi always sits down with me at eye level and discusses in depth, my health issues & gives his opinions and recommendations. He is thorough, kind and genuinely concerned about my well-being." 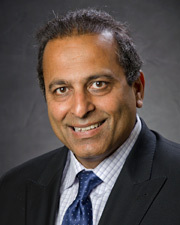 "I have been going to Dr. Bakshi for a number of years & have always been pleased with his care, that's why I go back. He is very kind, patient, understanding & put me at ease." "Provider was very enthusiastic and tuned into my medical history and information. Felt that he was very thorough in sizing up the whole picture." "Dr. Bakshi is an excellent doctor." "Love this office. Always professional, friendly & helpful." "Dr. Bakshi is a caring and professional doctor. He always seems to be in a great mood." "Kind person, very caring, very good doctor." "I have been seeing Dr. Bakshi for many years. Always professional, courteous, knowledgeable. Have recommended him to many friends & family." "I always recommend Dr. Bakshi." "Runs it like a business, get in and get out. Doesn't value my questions/concerns."